The famous Golden Circle, a refreshing bath in a geothermal spa, delicious food and a hunt for the Northern Lights. On our popular carbon neutral day tour from Reykjavík, we combine the famous Golden Circle route with stops at local farms for some traditional tastes, a visit to a local spa, and a chance to see the Northern Lights. Heading out of Reykjavík, we set our course through Þingvellir National Park, a UNESCO World Heritage site, to the local greenhouse, Friðheimar. There, we get a taste of their delicious and home grown tomato soup and freshly baked bread for lunch. 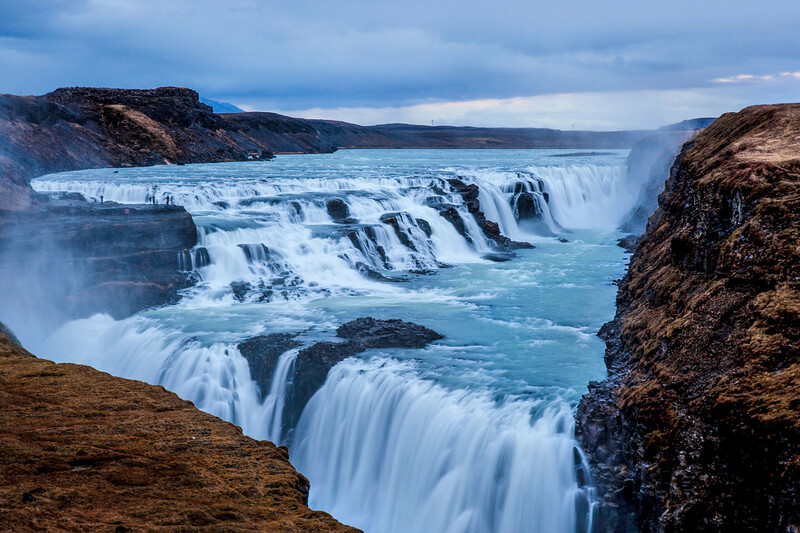 Next, we visit the magnificent Gullfoss waterfall and the great Geysir geothermal area, where the reliable Strokkur geyser spouts hot water up to 30 m. After enjoying these jewels of Icelandic nature, we turn our attention back to the taste buds with a visit to the farm Efstidalur. There, we get a few samples of their local products, such as farm-produced Skyr and delicious ice cream. Next up, it’s time for some relaxation at the geothermal spa Fontana, followed by a 2-course dinner at the local restaurant Lindin. After a nice meal, we head out to explore the mysterious nights of Iceland while we search for the magical Northern Lights. Lots of companies offer tours of the GoldenCircle and you could drive through on your own, but you would be missing a lot. The "MagicalNights" tour from Icelandic Mountain Guides takes you to all of the GoldenCircle sites and enough less well known stops that the Golden Circle seems almost secondary. You'll see a centuries-old farm where you try authentic skyr (not like the stuff in grocery stores) and homemade ice cream. You'll stop at an amazing geothermal greenhouse with fantastic tomato soup. And you get dinner at a terrific restaurant at Laugarvartn (other tours take you to the cafeteria adjoining the hot springs at Laugarvartn which isn't bad but it has nothing on this restaurant). What happens if we don't see the Northern Lights on the tour? Adventurer of the Week: Anna Goes Around the Golden Circle!